Cary Ichter is a Partner in the Commercial Litigation practice with Ichter Thomas, LLC. 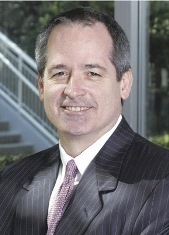 A trial lawyer who primarily handles commercial disputes, Cary’s clients include national franchise companies, which he represents both regionally and nationally. He also has litigated disputes between manufacturers and distributors throughout the country, with cases in New York, New Jersey, California, Minnesota, Wisconsin, and Puerto Rico. Cary has considerable experience litigating employment disputes, including claims under Title VII and the Age Discrimination Employment Act, as well as claims of sexual harassment. His practice also includes disputes involving restrictive covenants ancillary to employment agreements and trade secret misappropriation actions. He has successfully litigated cases involving copyright infringement involving computer software and musical recordings.